Farina Azad is an Indian Actress & Anchor, who is working in Tamil television industry. She was born on 9th November 1990 in Chennai, Tamil Nadu. Farina Azad married to her long time boy friend Rahman Ubaidh on 21st October 2017. Farina made her acting debut in the Tamil television serial “Azhagu” along with Naresh Eswar directed by Ravi and produced by Vaidehi Ramamurthy. She also acted with well-known actors/actresses like Thalaivasal Vijay, Lokesh, Mithra Kurian and Shruthi Raj. She has appeared in some well known tv shows such as Kollywood Uncut, Kitchen Galatta, Show Reel and Celebrity Interview. Farina Azad currently doing a one of the contestant in Mr & Mrs Chinnathirai show along with her husband Rahman in Vijay TV and anchoring in Anjarai Petti show in Zee Tamil. 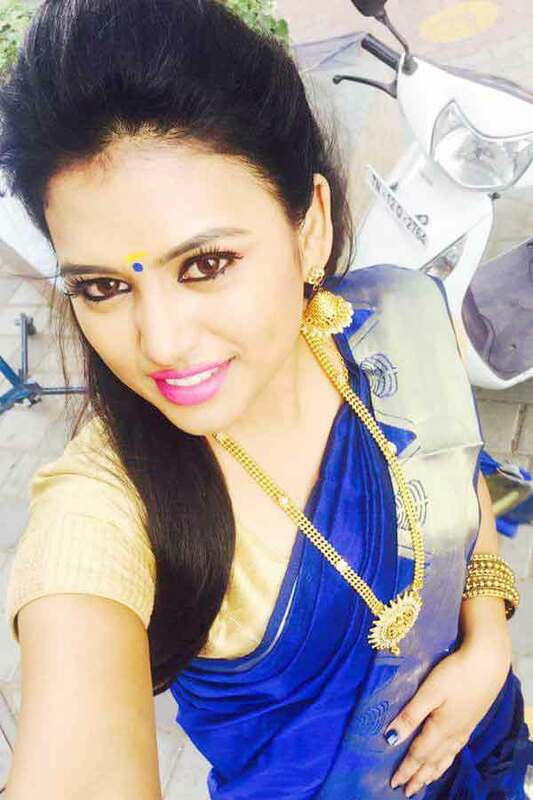 Farina as Niveditha role in Azhagu serial.